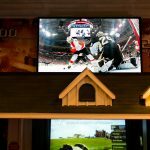 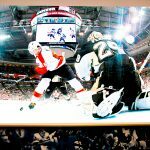 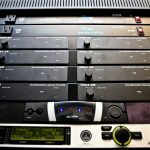 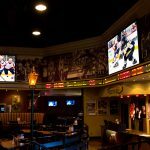 The long and fruitful relationship between Design Electronics and Wegz Stadium Bar (owned and operated by Woodbine Entertainment Group) has seen the two companies collaborate on key systems and audiovisual component upgrades throughout the years. 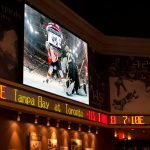 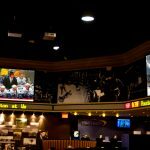 Since its opening in the early 2000s, Wegz Stadium Bar, located in Vaughn, ON, has relied on a Design Electronics audiovisual and control system to keep its clientele entertained and connected to a full complement of sports programming, reinforced by a crystal clear, state-of-the-art sound system. 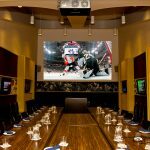 Offering valuable input during the design stage, Design Electronics saw through the complete installation, optimization, and programming of over 90 HD screens, 10 ten-square foot projector screens, and one massive 16’ x 22’ HD projection theatre style screen which are strategically placed throughout the popular, 23,000 sq. 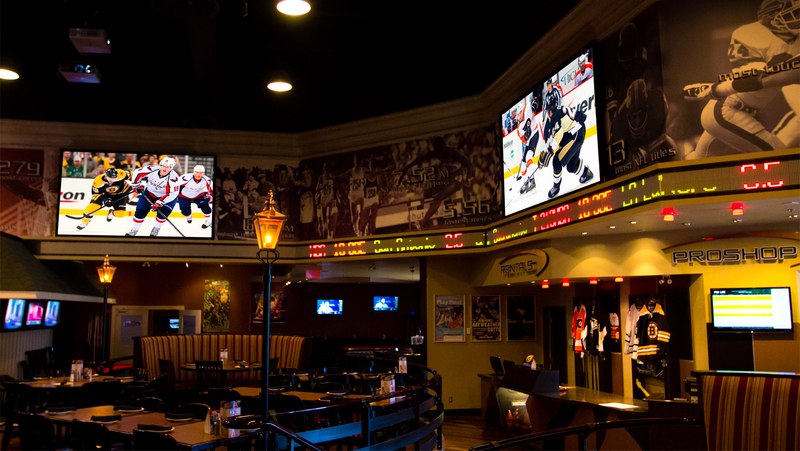 ft. sports themed restaurant and bar. 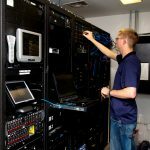 Crestron control system, which was custom programmed by one of Design Electronics’ fulltime Crestron Certified technicians. 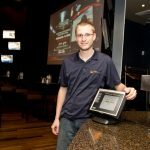 A touchscreen conveniently located behind the bar as well as a separate wireless Apple iPad interface offer complete control over every aspect of the entire audiovisual installation. 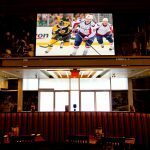 Each individual content feed, coming from any internal or external source, can be routed to any display throughout the restaurant quickly and easily. 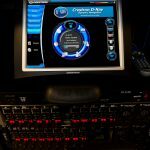 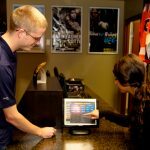 Programmed to offer bar and wait staff one-touch functionality, the custom-programmed system allows the Wegz staff to be able to fulfill any of their clients’ sports or entertainment request instantly at the touch of a button. 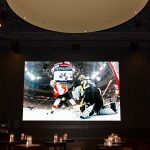 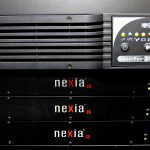 Supporting the stunning display of video content is a high fidelity, professional-grade sound reinforcement system that provides the ideal sonic background to the large-format entertainment screens. 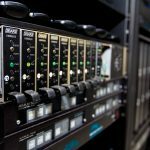 Providing accurate sound reproduction, the optimized and tuned audio system gives a full-featured experience for the clientele, whether it’s being used to broadcast sports content or as a full-venue music sound system. 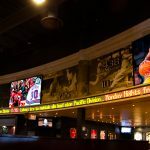 The long and fruitful relationship between Design Electronics and Wegz Stadium Bar (owned and operated by Woodbine Entertainment Group) has seen the two companies collaborate on key systems and audiovisual component upgrades throughout the years. 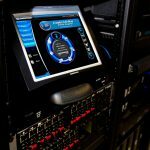 This testament showcases the industry-leading commitment given by Design Electronics to all its clients in entering long-standing, service-orientated partnerships. 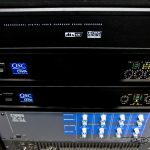 After 30 years as a preeminent audiovisual integrator, Design Electronics has built a significant portion of its client base on repeat customers and their desire to work with our expert team of service-oriented designers, technicians, and programmers.